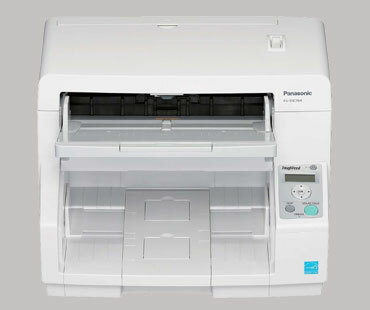 The KV-S5076H features multiple sensors which detect various types of stapled documents, and to immediately stop the scanner when a staple is detected. Staples are quickly detected in any location, minimizing damage to both the document and the optical glass. Ultrasonic sensors accurately detect double feeding, even when scanning documents of various thicknesses. When detected, the ultrasonic sensor prevents double-feeding by immediately stopping the scanning process.